Here’s something you never thought about ! 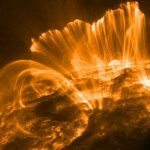 During a major solar flare, you can get a chest X-rays worth of radiation for free. It’s a bigger problem than you might imagine, and one that worries airline crews and frequent-flyers too. Calculate your dosage using the CARI-6 resource at the Civil Aerospace Medical Institute! Health Canada – In 2002 the Canadian health Agency made some recommendations about the risks of radiation exposure during air travel. 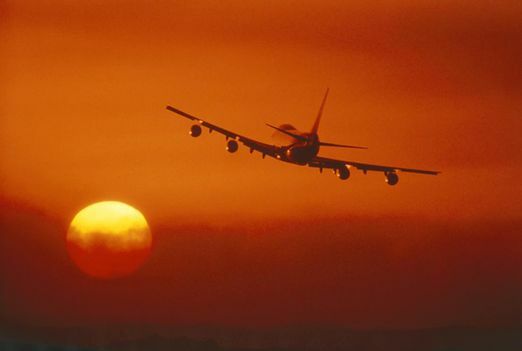 They estimate that 1000 hours of flying per year for 30 years increases your cancer rate by 1%. This is compared to a 25% cancer probability for an average person during the same time. As for cancer or other prenatal problems, they consider a 200-hour air travel limit just to be safe, which represents by their reckoning the ‘variation’ in natural background exposure on the ground. World Health Organization – In their ‘International Travel and Health’ report, cite a dosage rate of 0.1 – 0.3 milliRem/hr (1-3 microSv/hr) for short trips, and 0.5 milliRem/hr (5 microSv/hr) for long trips. The International Commission on Radiological Protection sets a limit of 200 milliRem per year (2 milliSv per year) as the limit for ‘safe’ exposure. This means that you would have to take 400 hours of air travel on ‘long’ trips each year to still be considered ‘safe’. 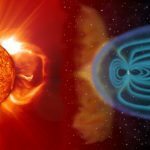 Solar Flares and Air Travel – The Health Physics Society in 2004 considers the 40-60 milliRem you might get in a severe solar flare to be a minor additional dosage on par with getting one extra chest X-ray a year, and far less than a CT scan. 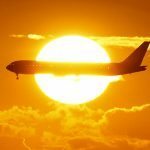 During what they term ‘normal solar weather conditions’, a flight from the USA to Australia would add only 7 milliRem to your natural background dosage of 250-300 mRem. A trip from the USA to Japan following the polar route would give you 8.5 milliRem. They also state that a fetus will not be affected, despite normal maternal concerns, because actual studies of pregnant flight crew members show no identifiable defects above the normal rates. Federal Aviation Advisory Circular – Published in 1990 (AC120-61) summarizes the then-known radiation conditions at flight altitudes. 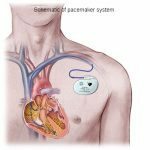 They cite typical ground level backgrounds of 0.006 milliRem/hr (0.06 microSeiverts/hr) and at altitudes of 35,000 feet a dosage rate of 0.6 milliRem/hr. Depending on the types of air routs involved in a typical 950-hour per year career, the total dosages were in the range 20 to 910 milliRem. The recommended annual exposure by the EPA is 5 Rem per year, so flight are well under the EPA limit for safe travel. The FAA estimated that, at the dosages encountered by flight crews, the excess cancer rate for 20 years of travel is 6 cases in 1000 crew members. For all other cancer risks the estimate is 220 per 1000, so the cancer risk in this population is only increased by 6/220 or 3%.